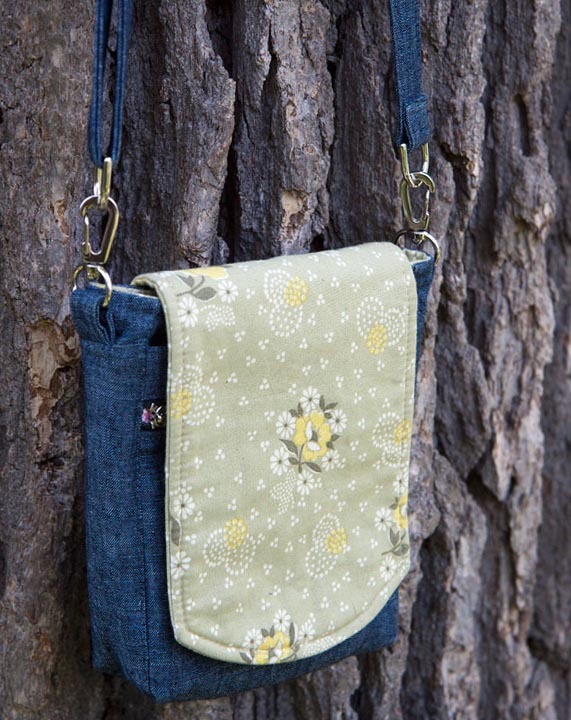 So in the Spring and Summer, I like having a small crossbody purse that holds only my phone, wallet, keys, and a couple other small things when I need to run out for errands and such. I had a bag like this a few years ago (a Goodwill find), but it disintegrated and I hadn’t managed to find one I like since. 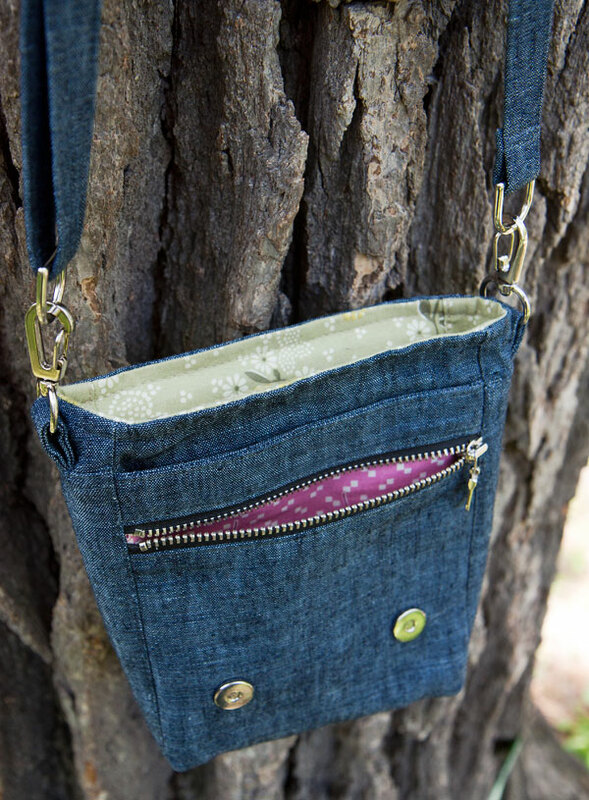 I came across the Zip and Clip bag by Around the Bobbin when we were both at an event and I thought it was the perfect replacement! For the exterior, I used this extremely beautiful Kaufman indigo-dyed linen fabric. I bought several yards of it to use as a background fabric in an EPP quilt I was working on, but a friend (who also loved the fabric and bought it) alerted me that it was crocking and bleeding despite several pre-washings, so that was the end of that! From now on any fabric that looks like it might be indigo dyed is going to receive some pretty intense scrutiny before use!! Anyway, I’ll now be using this fabric for many bags and other non-quilt projects in the future as it is so beautiful I can’t just let it go to waste. 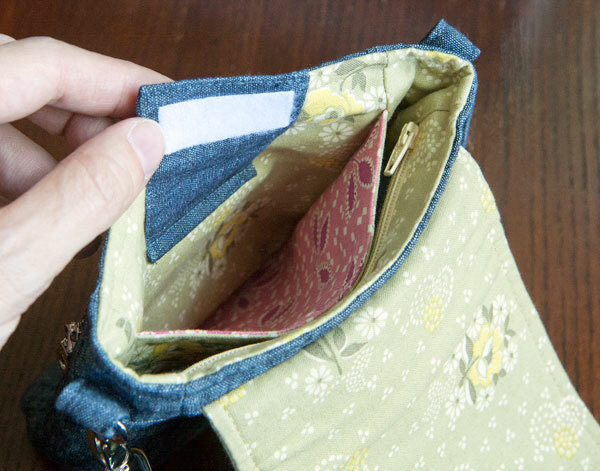 For accents, I used small pieces of two of Denyse Schmidt’s Hope Valley prints, in gray/yellow for the purse flap, and the pink for the pocket linings. I love this fabric soooo much but I’m glad I used it and can enjoy it! I love this bag just as much as when I first saw it. 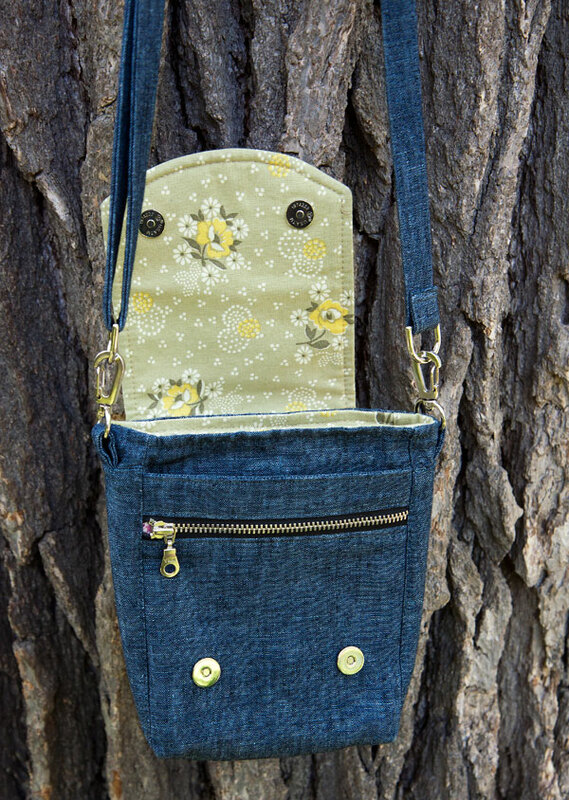 It has tons of cute little flaps and pockets, and the phone pocket is easily accessible but secure. 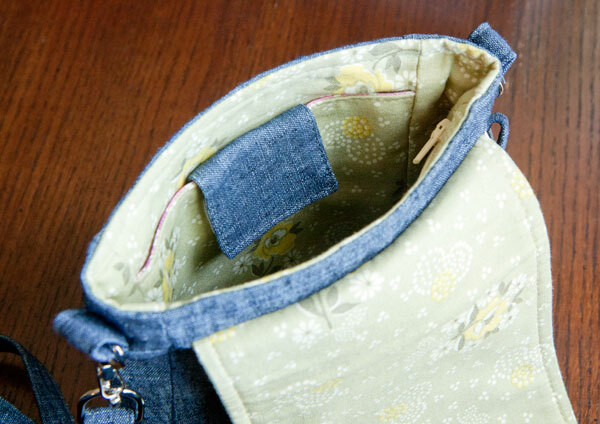 The bag is both lightweight and sturdy. It took me a long time to make, but it has a lot of pieces so that was to be expected. This pattern came together really well, and I was glad that I bought the hardware kit so I didn’t have a bunch of extra pieces leftover afterward. The magnetic snaps are very strong, to the point where it takes a second to pull them apart, but that is probably a good thing! I’m not entirely loving how the strap slider looks because of the thickness of the linen, so when I start wearing it I might just choose a strap length and cut it off instead of keeping it adjustable. 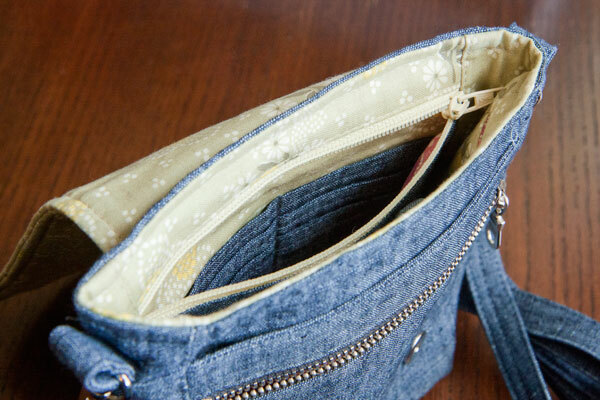 Also, the card slots are a little tricky to get cards into/out of as the zipper is quite small. Next time I’d probably leave them out, or maybe make a small separate card slot folder to tuck in that pocket. If I were to make this bag again, I think I would probably omit this “passport” slot (or at least the velcro flap), as the flap gets in the way when I’m trying to put larger things in the main compartment. I can see how it would be useful, but for what I’m carrying around it wasn’t necessary. The only changes I made to the pattern were to add fusible fleece to the outer flap to make it a little softer, and to move the straps to the sides instead of the back. Size: exactly as written in the pattern.